In a show of military force, China sailed three warships past the Senkaku Islands on Monday, just two days after Secretary of Defense James Mattis visited Japan and reaffirmed the US commitment to defend the islands if attacked by China. Although the Senkaku Islands are just a collection of large, barren rocks, it is believed that they lie in a region with vast oil and gas reserves. 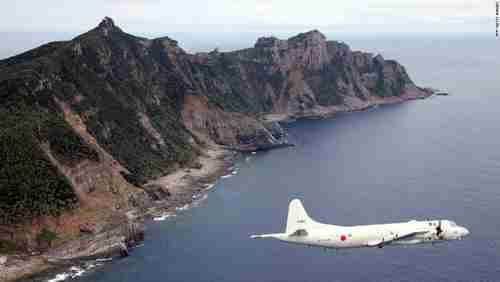 Japan says that the islands have been their sovereign territory since the 1800s. China says that they have been their sovereign territory since “ancient times,” and that their claims are “indisputable,” but China says exactly the same things about any other country’s territory that it wants to confiscate. China’s claims in the South China Sea are not only “disputable,” they are also illegal according to a ruling by a United Nations court in the Hague. Some of China’s “ironclad proof” was investigated by the BBC and found to be a hoax. I made clear that our long-standing policy on the Senkaku Islands stands — the US will continue to recognize Japanese administration of the islands and as such Article 5 of the US-Japan Security Treaty applies. We urge the US side to adopt a responsible attitude and stop making wrong remarks on the issue of the sovereignty of Diaoyu Islands. US-China tensions have been growing steadily for years, especially as China has built illegal artificial islands and illegal military bases in the South China Sea. But these tensions seem to have taken a major spurt since Donald Trump became president, because of Trump’s willingness to go much farther than Obama in challenging “politically correct” norms. Even before taking office, Trump accepted a phone call from Taiwan’s president Tsai Ing-wen. Tsai has refused to endorse the “one-China policy” that precludes Taiwan’s independence, and Trump has said that the one-China policy is open for negotiation. Younger generations in Taiwan increasingly favor independence, and it’s clear to China that time is not on their side. We’re going to have to send China a clear signal that first, the island-building stops and second, your access to those islands also is not going to be allowed. 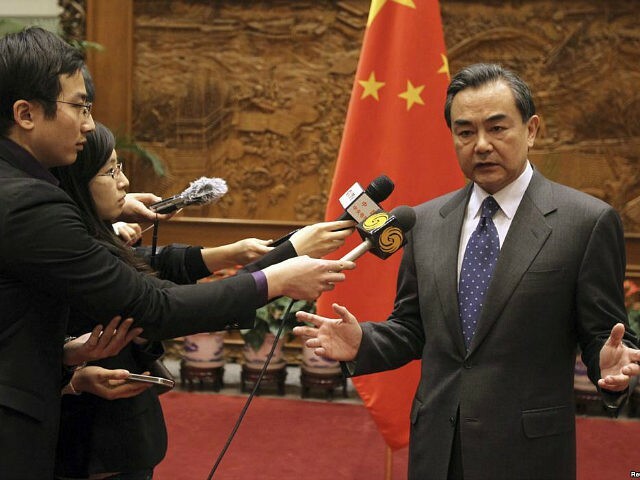 This talk of war has led to some media questions about how ready China is for war. China has only one aircraft carrier, the Liaoning, but it is much smaller than US aircraft carriers, having been purchased from the Soviet Union in 1988. The Liaoning can carry up to 24 fighter jets and about 12 helicopters, while U.S. Navy’s current Nimitz-class warships, such as the USS Ronald Reagan, stationed in Japan, can handle more than 60 aircraft. An even larger carrier, the USS Gerald Ford, will be put into service in 2017. That would indicate that China is far behind the United States in sea power, but the first of two new all-Chinese aircraft carriers, the Shandong-1, is expected to begin sea trials this year. People frequently point out to me that China would not attack the United States because the US has a superior military. From the point of view of Generational Dynamics, that makes sense for most wars, but not for generational crisis wars. When America’s South attacked Fort Sumter, launching the American Civil War, it was predictable that the North would win because it was three times as big, but the South attacked anyway. When Japan attacked Pearl Harbor, it was predictable that America would win because it was five times as big, but Japan attacked anyway. As a population, China is in a highly emotional state right now. They have become extremely nationalistic. Their younger generations are looking for action, believing that China is strong enough to beat the US. On the US side, most people believe that President Trump means business in a way that President Obama never did, and that Trump may well take some military action to fulfill Rex Tillerson’s threat to prevent China from accessing its artificial islands in the South China Sea.